Exclusively offered by Titanium Kay, this spectacular tungsten necklace is the perfect fusion of durability and style. 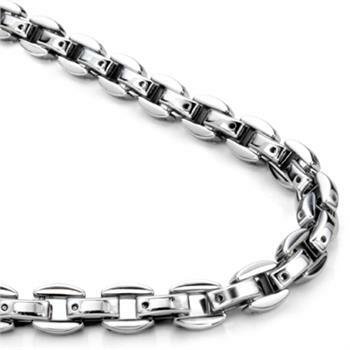 All links are finished to the most shiny mirror finish, and since the necklace is made from solid tungsten carbide, it is 100% scratch proof and tarnish proof. The links are held together by our specially designed pinks to give you complete peace of mind when wearing it since it will not break due to loose pins. The structure of it also allow flexibility of the entire chain so it is very comfortable to wear it everyday. 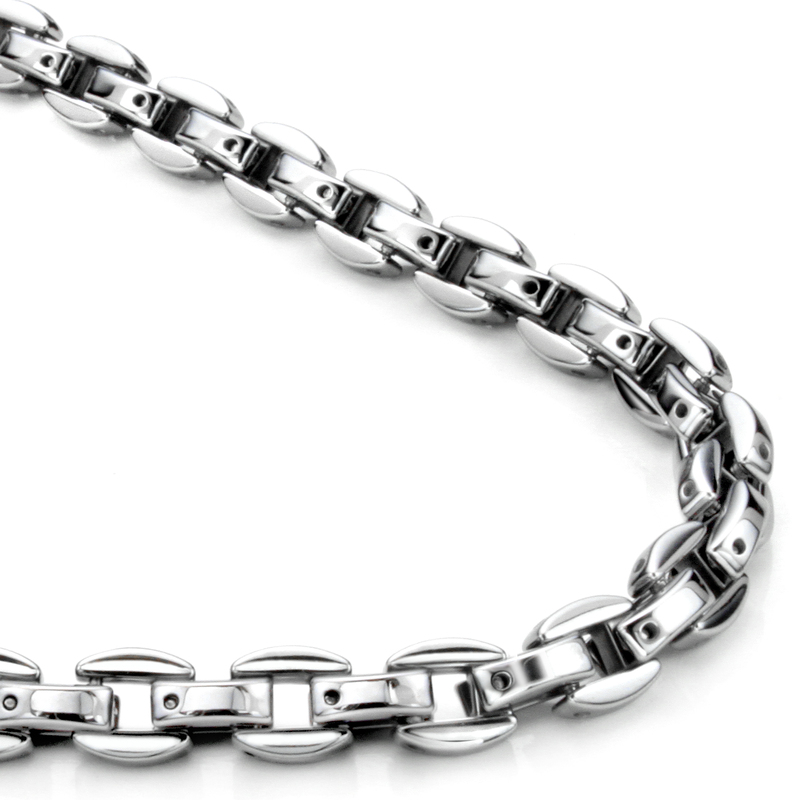 This chain has a substantial heft, weighing approximately 6.2 grams per inch, e.g. a 24" one would weight approximately 149 grams. For people who used to wear gold chains, this is comparable to the weigh of a chain of the same style but made from 18K solid gold. This link style is also available in a matching bracelet, click here to see.